Arthritis can influence individuals all the way through the year; however, during the months of winter and wet weather, it becomes harder to deal with the symptoms. Do you feel like a storm is approaching your knees during winter? Indeed, the cold and dampness can impact your joints to start hurting, due to which large numbers of people with arthritis suffers this condition. A few doctors believe that these stories of climate causing joint agony are old tales. Some people are susceptible to weather changes as compared to others. So, you may feel all the more stiff and achy in that cold. This does not mean you are wrong; it just implies that most of us do not perceive things the same way. Both rheumatoid arthritis and osteoarthritis can turn out to be more problematic during the colder months, somehow our behavior amid these months could likewise to be blamed. These conditions tend to set in unfortunately with an inactive way of life, and with a tendency to rest more during the chilly winter months. Not going out much, not working out, and wearing bulky garments that limit freedom of movement makes a complete package that can exacerbate joints pain worse in winter. There was a study conducted in 2014 regarding people with osteoarthritis (OA) in which they were inquired if and in what way weather impacted their pain. Out of the 712 individuals who responded the study, 469 (67%) stated they were sensitive to changes in climate. It proves that weather-sensitive persons with Osteoarthritis encounter more joint aches generally than their non-weather sensitive colleagues. A study conducted on 810 people with OA published in the year 2015 setup significant connections between dampness and temperature concerning joint pain. The influence of humidity on aches was much substantial when the weather conditions were colder. In reality, they marked that wet, winter days are unpleasant and of no fun. A study in 2011 discovered similar outcomes in individuals with rheumatoid arthritis (RA). The researchers took a look at nine already published researches of individuals with RA and concluded that the weather more influences pain in a few people in comparison to others and that patients respond in various ways to the weather conditions. Another study of 133 RA patients published in 2015 concluded that the disease activity (inflamed joints, aches, etc.) was brought down when the days were bright, dry and sunny. Have you heard the expression "chilled to the bone?" People with RA as well as OA encounter this literally with agonizing levels when temperatures drop. Weather influences many persons in different ways. Numerous patients with chronic joint pain instigated by rheumatoid arthritis or osteoarthritis report joint stiffness higher than before during the coldest days of winter. Patients with these conditions additionally report increased joint aches. Arthritis distresses everything inside a joint, such as the joint covering (synovium), the tendons as well as the ligaments. These tissues have nerve finishing off with them which explains why we feel ups and downs in the weather as stiffness in the joints. This stiffness makes it harder to keep a regular ROM (range of motion). With an absence of movement, joint stiffness moves toward becoming painful. Why Does Cold Weather Conditions Make You Hurt? Researchers do not have the information at this point to pinpoint what precisely interfaces weather changes to joint pain. Barometric pressure is the weight of the air that surrounds us. Consistent pressure presses against the body and the joints, counteracting (to some degree) the tissues inside the joints from extending. At the point when the barometric pressure falls, and there is less pressure pushing against the tissue, there is more space for the tissue to expand, ultimately putting pressure on joints and nerves in the body. Baroreceptors are a kind of sensory neuron placed in blood vessels that sense blood pressure and transfer information to the cerebrum. These receptors are mainly sensitive to low barometric pressure. Falls in barometric pressure, which regularly concur with colder temperatures, can cause swelling in the joints as the baroreceptors trigger an amplified sensation of joint pain. Arthritic joints have less cushioning, making them significantly more delicate to these pressure fluctuations. On the other hand, as soon as the weather has settled in, your aching will level out. Without question, different elements will effect on perceived pain during the colder months. Shortened days in addition to freezing temperatures make us less slanted to be active. 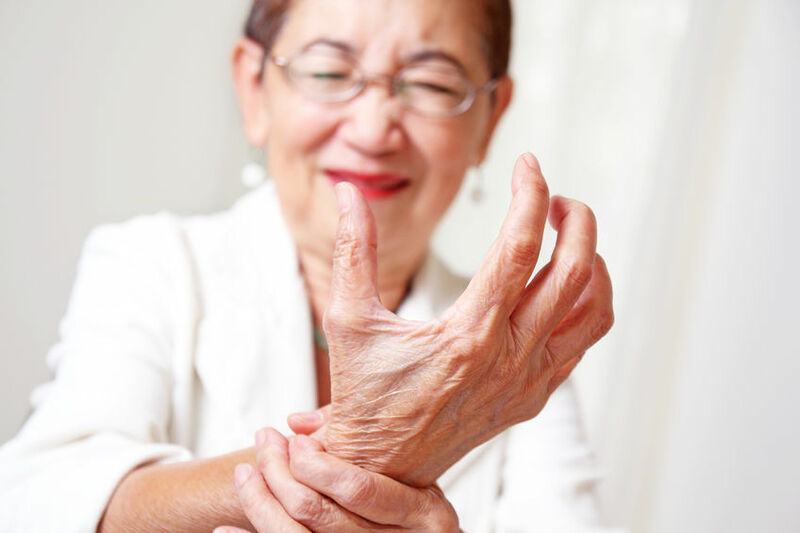 This immobility can exacerbate arthritis pain worse by means of a reduced flow of nutrients and oxygen to joints, besides leading to increased stiffness in the muscles which connect around the joints. The frosty and clammy weather affects those existing with arthritis as the atmosphere can result in marked increase in joint pain while changes consequently affect exercise schedules. A more probable reason behind increased pain is that colder weather activates bodily changes, which have the symptom of intensifying pain signals from joints. A proven explanation behind this is that the sensory system is basically "misbehaving"; pain signals going along nerves from the joints are intensified in the brain by signals carried on particular nerves called sympathetic nerves. To the extent that cold weather, precisely, is concerned, freezing temperatures appear to bother the nerves encompassing joint tissue in the same way that different changes in weather conditions do. Frosty weather recoils tissue in the joint and pulses on nerves triggering pain. The sympathetic nerves are part of the body's system for keeping up internal working without devising to think about it. When it is cold, the nerves shrink blood vessels in the extremities, to minimize heat loss and help keep the center of the body warm. This increased stimulation of these nerves around joints due to cold weather may perhaps lead to an increase in the discomfort an individual feels. The connection between mind and body is strong. If warm, bright weather makes you feel improved mentally, you will likely feel better physically too. However, it is in all probability that a chilly mix temperature, humid conditions, and drops in barometric pressure makes an awful recipe in symptoms of arthritis. So, What Should You Do To Avoid The Aches And Pains? Wear loose layers while going outside as layers trap body's heat to keep you warm. Wear a cap or hat to protect your head. Wear socks and waterproof boots to abstain from getting feet wet or moist. Even mild lack of hydration may make you more sensitive to aches. Swimming in a warmed pool is both incredible exercise and soothing to joints. You can likewise get help from warm baths, as per the Arthritis Foundation recommendations. Just don't go instantly into the cold after a shower and let your body temperature return to normal at first. Low levels of vitamin D could play a role in the fact that you are sensitive to arthritic pain. You are less inclined to get enough vitamin D from its natural source, daylight, in the winter, so converse with your specialist about your requirement for supplements or vitamin D fortified foods. Especially when the climate turns frigid, individuals with joint inflammation need to shield their joints from additional harm. In case you are going outside, pick sturdy, steady shoes with great treads and walk on a surface that doesn't look slick. Omega-3 fatty acids have many advantages since they appear to decrease the level of irritation. The Arthritis Foundation prescribes up to 2.6 grams of fish oil capsules two times a day. On a spiritual level, arthritis can be initiated by holding onto wrath or hatred. It is vital to make a stride back and think about whatever thing that might be creating any disdain. Begin slowly with one positive affirmation every morning along the lines to love and favor yourself. Some people living with arthritis have discovered that as their physical activity levels go up, and their weight goes down, their joint inflammation improves even in chilly weather. Exercise does not need to be exhausting. Do anything that keeps you moving at work. So, when your joints begin to tip off from cold weather ahead, design a warm routine of indoor exercise, put on comfortable clothing, or book yourself for a two-month break to a warmer place. The best activity to oversee cold weather is already tuned into your body. In case you are feeling more stiffness and pain throughout your routine activities; you need to relax. Stretching along with repeated rest intervals can help to reduce pain and prevent further inflammation. Cold weather can reduce muscle flexibility, which builds the danger of injury. Stretching for 10 to 15 minutes before activity can help to lessen that hazard. Wearing layers and dressing appropriately for the cold will help conserve your core body temperature and muscle flexibility. Many individuals with joint pain experience severe difficulties while using their hands. The pain can be severe and intense. 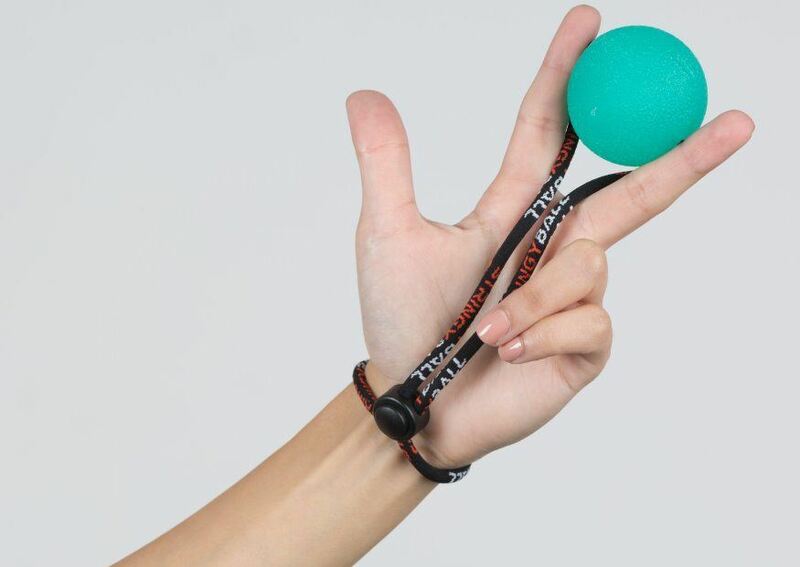 A few accessories, for example, the StringyBall, are in particular designed and intended for arthritic patients. At the point, when used on a regular basis, they decrease pain, bring down inflammation and make the joints in your hand stronger. These exercise tools can be utilized as a significant part of your exercise routine. StringyBall is intended to diminish stress and help in restoration. It is best for hand strengthening activities, for example, the claw stretch, the thumb bend, or wrist stretches. The ball is tethered to a string, so it will not drop or roll away as compared to other squeeze balls that do. This provides the exercise schedule an enjoyable experience.